The Foursome story began in 1935 when a group of golf-playing school teachers decided to open a small general clothing store together. In 1955 Ron Engel and his wife Lucille became part-owners of The Foursome, Ron selling and Lucille doing bookkeeping and alterations. The business took on a true family flavor when their son Gordy — currently the company president —joined the business in 1969. Over the last decade, the business became a family enterprise. 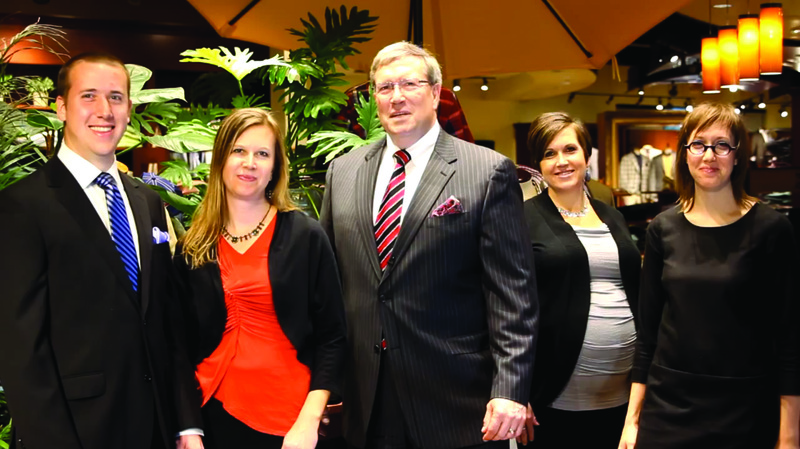 Four of Gordy’s children have joined The Foursome team, using their unique interests and talents to enhance the business. The year was 1990. With a few thousand dollars and a dozen or so part-time jobs, Bill Thomas slowly grew his business from a “trunk of the car” start-up to a full-time enterprise. His idea was to start a company that captured and celebrated the American ideal. “We could put a man on the moon, but couldn’t make khakis like we did 50 years ago,” he thought. Someone had to save this small but symbolic piece of Americana. The Foursome offers Bill’s Khakis items in-store and online. The Temple. That’s what everyone calls it: the Temple to Fine Tailoring. 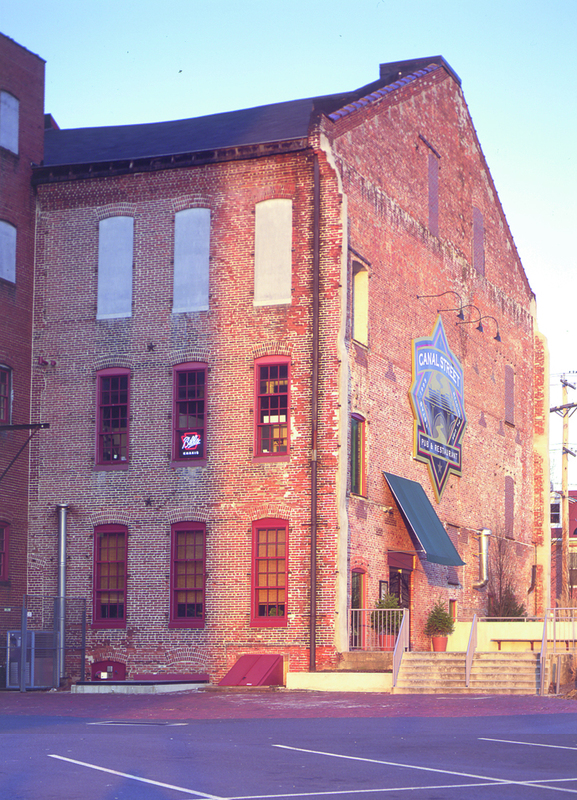 Two young entrepreneurs named Jacob Freeman and Jeremiah Hickey built it in the early years of the 20th century. Their plan was to bring high-quality hand-tailoring to men from coast to coast. As they envisioned it, a Hickey Freeman suit would be a testament to both the delicate artistry of hand-craftsmanship and the steady consistency of modern technology. Their idea turned into an epic American success story, the kind we adore at The Foursome. Men of style and achievement have, for generation after generation, turned to Hickey Freeman for authenticity and quality, elegance and innovation. They still do. The Temple — a 77,000-square-foot factory in Rochester, New York — is where it all happens. Tailors from around the world gather in Rochester’s sartorial sanctuary to set sleeves and stitch collars and roll lapels. Each tailor has a different specialty, but they all share a common goal: to create suits that represent the very pinnacle of American tailoring. For decades, anyone who stepped into the Temple saw the phrase “Keep the Quality Up” carved into the oak entryway. “Keep the Quality Up” was the Hickey Freeman motto — and its mission statement. It still is. Hart Schaffner Marx is an American story. In 1887, two immigrant brothers by the names of Harry and Max Hart scraped together just enough money to open up a men’s clothier in downtown Chicago. Through their tireless work, savvy innovation (the first to introduce suits tailored for different body types, zippered trousers and tropical weight wool suits, amongst other things) and an unwavering commitment to dressing men in high-quality clothing produced right here in the USA, the brothers grew their company into one of the largest men’s suit manufacturers in the world. HSM continues in that tradition today, giving well-dressed men of conviction the style and grace they demand in the American-made choice they deserve. With a 119 year heritage, the HMX group is the leading American clothing manufacturer and marketer. Check out more on the Harts blog. Since 1948 Gitman has consistently made one of the finest shirts in the world. Located in Ashland, Pennsylvania, Gitman is also one of the last remaining shirt makers that bases its manufacturing entirely in America. Everyone they work with has been sewing clothing for generations and brings all their history and skill to each individual shirt sewn. Their experience is irreplaceable and they are dedicated to keeping their manufacturing here to utilize and save something that is truly part of American history. At Gitman, our identity is based on the fact that we produce a garment founded on quality in materials and construction – a particular combination of the world’s finest fabrics and master shirt making. At Gitman, craftsmanship and technology – a perfect mix of the old and the new – go into each and every shirt we sew. More than 80 minutes and 50 steps go into the creation of a shirt, which is made of 25 separate pieces. Whether choosing one of the more than 1500 fabrics and patterns from among the finest European weavers, or deciding on which body silhouette and collar/cuff combo work best, they are constantly engaging both themselves and their customers with what the market demands and expects. This is reflected in the range and depth of their collections. Barbara Blank earned a master’s degree in psychology at Harvard and studied art history in Italy. Now Barbara Blank designs ties. She joined her father’s neckwear company which had been manufacturing handmade neckwear in New York City, New York since 1920. All Barbara Blank ties are crafted of luxurious silk fabric in their historic workroom off New York City’s Fifth Avenue. Some things withstand the test of time. Handmade locally in Minnetonka, these soy candles are so great we had to sell them at The Foursome alongside our clothing and shoes as a gift item or personal indulgence. Handpoured and made from soybeans, a renewable resource, these candles have a longer, cleaner burn and are naturally biodegradable, non-toxic, and earth friendly. Plus, when you are finished burning your Champey candle, they will pour another candle for you or you can simply wash it with soap and hot water and reuse the container. Reuse, repurpose, and recycle is this company’s mission…along with making great smelling and clean burning candles. All Made in the U.S.A. brands are 20% off at The Foursome May 21 – 31, 2014. We are closed Memorial Day, Monday May 26th. Have a safe and happy holiday.